Where do I order Paper? Purchase paper right here! Scroll down to make your selection. 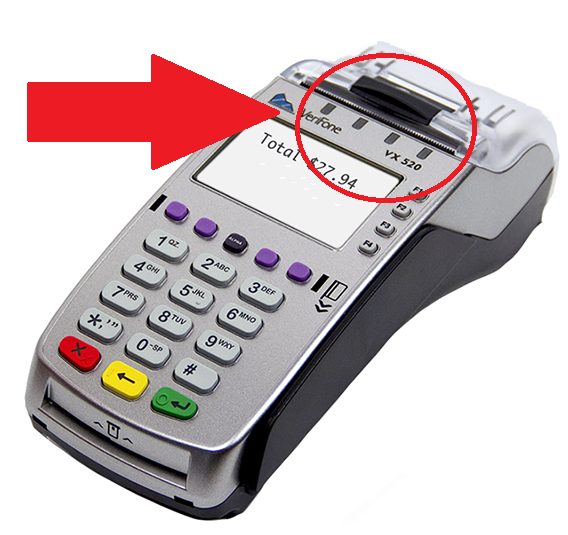 NOTE: These paper rolls will only fit in standard terminals (not wireless). All paper purchases have a $10 shipping charge, and will be shipped via Fedex Ground. If you have a Vx520, please be sure to verify which version you have. If your terminal looks exactly like the one in the picture to the left, you can purchase the 85-foot rolls. But if your Vx520 has four “lights” above the screen and looks like the terminal in the next section below, you’ll need to buy the smaller, 74-foot rolls! 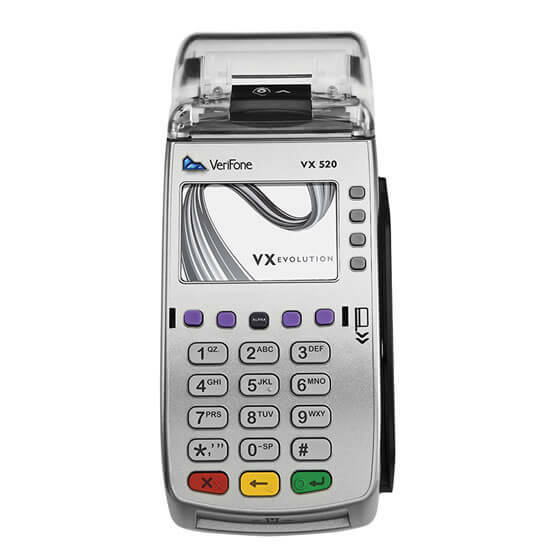 NOTE: These rolls are specifically designed for the Verifone Vx520 that accepts Apple Pay. 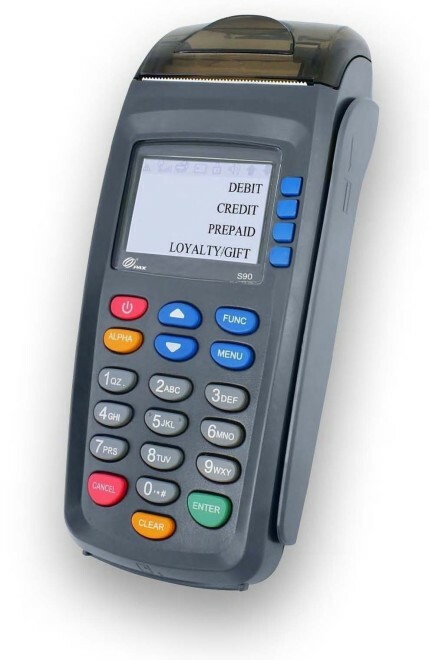 This version of the terminal is known as the “Contactless” version, since it allows for contactless payments. 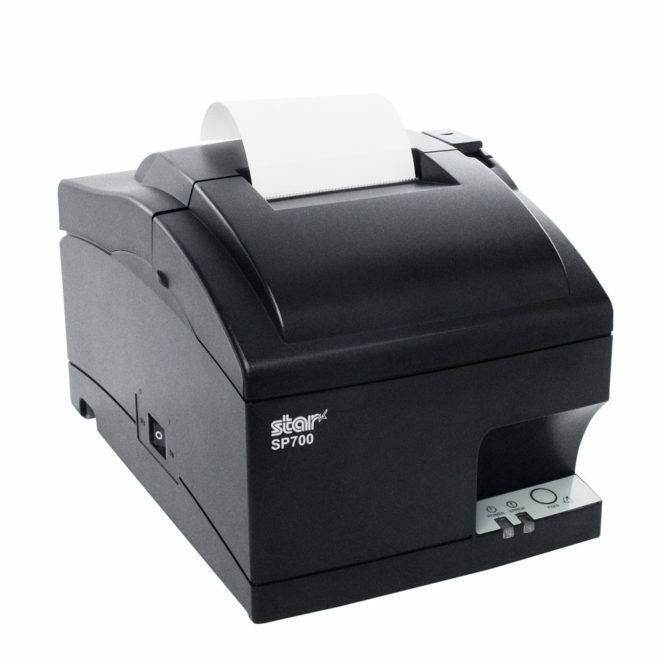 If your Verifone Vx520 looks like the one to the left and has four lights above the screen, you must purchase the below paper rolls! NOTE: These shorter paper rolls are designed specifically for wireless terminals with smaller paper capacities. All paper purchases have a $10 shipping charge, and will be shipped via Fedex Ground. NOTE: These longer paper rolls are designed specifically for Clover Kitchen Printers with larger (230 foot) paper capacities. 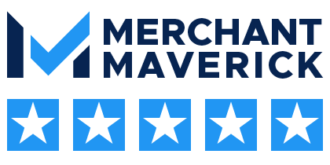 All paper purchases have a $10 shipping charge, and will be shipped via Fedex Ground.